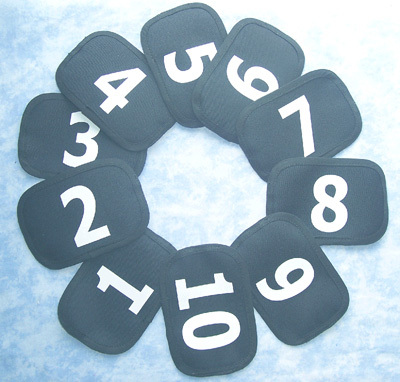 These lightweight armbands are perfect for printing numbers onto, these can be used in outdoor games etc. The armband is held in place with elastic. Made from two layers of polyester/cotton drill fabric, combined together to form a firm durable product. The adult size measures 15.5 x 8.5cm, this size will fit small men and average sized women. The child size measures 13 x 8.5cm. Please email us your requirements for a tailor made quotation. Where the text you specify is more than one word the printing will be spread over 2 lines. 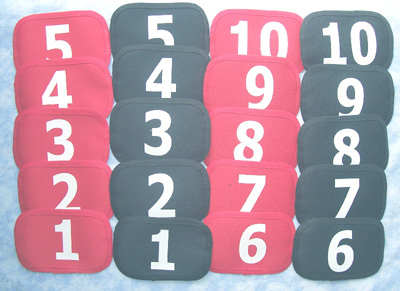 The printing will be as large as possible to a maximum of 16x5.5cm so that it will be visable when the armband is worn. 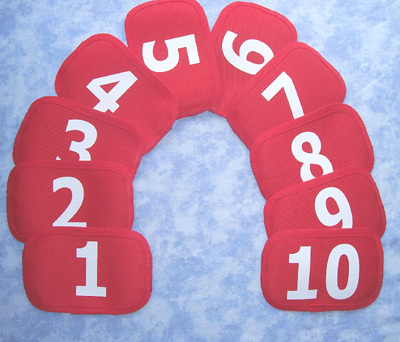 Please see the images to the sides for examples of previous printed armbands we have produced. All the images are thumbnails please click on them to view them full size.